We believe our unparalleled combination of trading technology and brokerage services gives every TradeStation client an edge over the competition. But you don’t have to take our word for it. Year in and year out, leading financial publications have recognized TradeStation’s award-winning trading software and best-in-class brokerage services. Read more to learn how our commitment to being the world’s best online broker can help you improve your trading. TradeStation was ranked one of America’s “Top 5” online brokers overall and “Top 5” in “Best for Day Trading” in Investopedia’s annual survey of online brokers. “TradeStation’s focus on high-quality market data, trade executions and their commitment to superior customer service makes them a good choice for the active trader,” Investopedia wrote in its review. TradeStation received top ratings in four major categories in the 2019 Technical Analysis of Stocks and Commodities (TASC) Readers’ Choice Awards. TASC readers voted TradeStation Best Trading System – Stocks and Best Trading System – Futures for the fifteenth consecutive year. TradeStation also won for best Real-Time/Delayed Data for the ninth year in a row and tenth time overall, and best Trading Centers/Schools/Training for the fifth consecutive year. TradeStation topped all other brokers in winning the award for Best Platform Technology for the seventh consecutive year in the 2019 Online Broker Review conducted by StockBrokers.com. TradeStation received a StockBrokers.com “Best in Class” rating in the Mobile Trading category for the first time as well as a “Best in Class" rating in the Professional Trading category, which is new to the review this year. TradeStation also earned "Best in Class” ratings in the Options Trading category for the seventh year in a row, in the Platform & Tools category for the eighth consecutive year and in the Active Trading category for the ninth year in a row. TradeStation was ranked America's top online broker for Equity Trading Tools in the 2019 IBD Best Online Brokers Report, a major annual survey of active investors conducted by Investor’s Business Daily. TradeStation was also ranked among the top 3 brokers in the categories of Best Options Platform and Educational Resources. TradeStation received top ratings in four major categories in the 2018 Technical Analysis of Stocks and Commodities (TASC) Readers’ Choice Awards. TASC readers voted TradeStation Best Trading System – Stocks and Best Trading System – Futures for the fourteenth consecutive year. TradeStation also won for best Real-Time/Delayed Data for the eighth year in a row and ninth time overall, and best Trading Centers/Schools/Training for the fourth consecutive year. TradeStation topped all other brokers in winning the award for Best Platform Technology for the sixth consecutive year in the 2018 Online Broker Review conducted by StockBrokers.com. In addition, TradeStation received a StockBrokers.com “Best in Class” rating in the Order Execution category for the first time, a “Best in Class” rating in the Customer Service category for the second time, a “Best in Class” rating in the Options Trading category for the sixth year in a row, a “Best in Class” rating in the Platform & Tools category for the seventh consecutive year and a “Best in Class” rating in the Active Trading category for the eighth year in a row. TradeStation was ranked third among the “top five” online brokers for Overall Customer Experience in the 2018 IBD Best Online Brokers Report, a major annual survey of active investors conducted by Investor’s Business Daily. TradeStation was also ranked #1 among all brokers in the categories of Equity Trading Tools, Trade Ideas, and Mobile Trading Platforms. Overall, TradeStation ranked among the top five brokers in 13 of the 14 categories that investors rated most important. 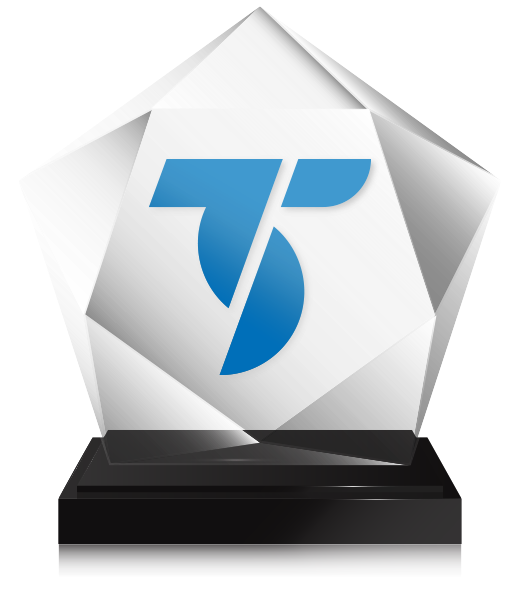 TradeStation topped all other brokers in winning the award for Best Platform Technology for the fifth consecutive year in the 2017 Online Broker Review conducted by StockBrokers.com. In addition, TradeStation was recognized as “#1 Broker Innovation” for its new TradeStation Salutes program for active-duty and retired military personnel. TradeStation also received a “Best in Class” rating in the Platform & Tools category for the sixth consecutive year, a “Best in Class” rating in the Active Trading category for the seventh consecutive year, a “Best in Class” rating in the Options Trading category for the fifth year in a row, and a “Best in Class” rating in the Customer Service category for the first time. TradeStation received top ratings in five major categories in the 2017 Technical Analysis of Stocks and Commodities (TASC) Readers’ Choice Awards. TASC readers voted TradeStation Best Trading System – Stocks and Best Trading System – Futures for the thirteenth consecutive year. TradeStation also won Best Professional Platform for the fifteenth year in a row, Best Real-Time Data for the eighth time and Best Trading Centers, Schools, Training for the third year in a row. TradeStation received top ratings in five major categories in the 2016 Technical Analysis of Stocks and Commodities (TASC) Readers’ Choice Awards. TASC readers voted TradeStation Best Trading System – Stocks and Best Trading System – Futures for the twelfth consecutive year. TradeStation also won Best Professional Platform for the fourteenth year in a row, Best Real-Time Data for the seventh time and Best Trading Centers, Schools, Training for the second year in a row. TradeStation topped all other brokers in winning the award for Best Platform Technology for the fourth consecutive year in the 2016 Online Broker Review conducted by StockBrokers.com. In addition, TradeStation received a “Best in Class” rating in the Platform & Tools category for the fifth consecutive year, a “Best in Class” rating in the Active Trading category for the sixth consecutive year, and a “Best in Class” rating in the Options Trading category for the fourth consecutive year. TradeStation also was awarded “Best in Class” ratings in the categories of Trade Execution and Mobile Trading for the first time. TradeStation was ranked third among the “top five” online brokers for Overall Customer Experience in the 2016 IBD Best Online Brokers Report, a major annual survey of active investors conducted by Investor’s Business Daily. TradeStation was also ranked #1 for Equity Trading Tools and among the top five in five other categories. 1 Barron’s: Rating based on Barron’s magazine (2006, 2008, 2011, 2012, 2013, 2014, 2015, 2016, 2017, 2018) a hands-on review of each company's online brokerage products and services by a Barron's journalist, in several categories, after which numerical scores are assigned per category and aggregated to determine overall numerical score and star rating. Barron’s is a registered trademark of Dow Jones. 2 Technical Analysis of Stocks & Commodities: Based on Technical Analysis of Stocks & Commodities magazine Readers’ Choice Awards (2003-2019); in each award category, results are based on the company that receives the highest number of votes cast by the magazine’s subscribers over a fixed time period that ends shortly before announcements of the awards. 3 Stockbrokers.com: Based on Stockbrokers.com online review (2013-2019). 4 Investor’s Business Daily: Investor’s Business Daily rating based on 2013-2019 Best Online Brokers reports, which surveyed active investors. The awards and ratings above apply only to TradeStation Securities, or the platform charting and analysis technology of its affiliate, TradeStation Technologies, and not to any other TradeStation Group company.